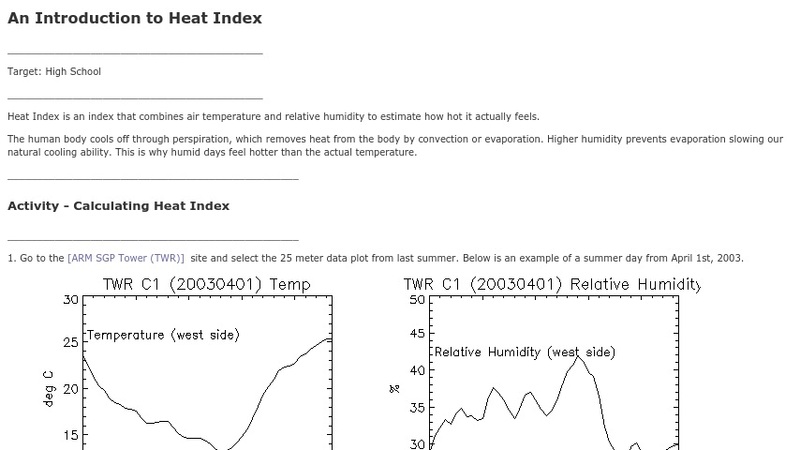 This high school level computer activity requires students to use formulas to calculate heat index from data collected in Lamont, Oklahoma. The activity includes a calculator with air temperature and relative humidity inputs to check answers. It is part of the Atmospheric Visualization Collection (AVC), which focuses on data from the Atmospheric Radiation Measurement(ARM) program.